Where Every Day is Laundry Day! 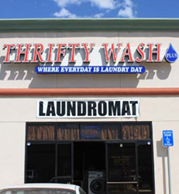 Thrifty Wash Plus is the first-ever Bakersfield laundromat to have receive the Five Star rating from the Coin Laundry Association of America. Stop in and look around. You'll like what you see. When it's laundry time for your family, visit one of our modern Thrifty Wash Plus neighborhood laundromats in Bakersfield, California. 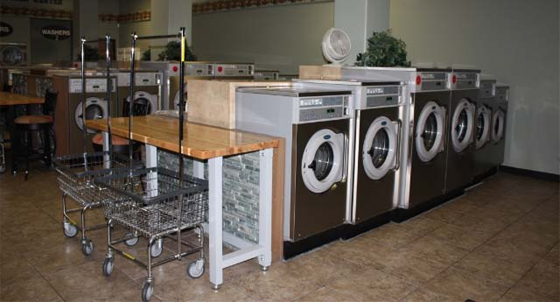 We have 6 convenient locations to serve all of your laundry needs. You'll find that all of our washing machines and dryers are newer models that are clean and dry your clothes better than those older machines you find in other, less well-maintained laundromats. We have 12 years of experience serving your needs. Each location features working change machines, and some locations have vending machines that sell snacks and drinks. We also offer laundry bags and washing detergent, including D-Solve-It™ laundry detergent booster for greasy, oily, and grimy stains in your laundry. You'll also find clean folding tables and sitting areas to relax while you're waiting for your laundry. You can also visit one of the nearby shopping areas or restaurants if you wish. Contact us today for more information about any one of our neighborhood laundromat locations.